The North Carolina Athletic Directors Association (NCADA) is committed to being a national leader in preserving, enhancing, and promoting education-based athletics through personal and professional development of interscholastic athletic administrators. RT @hunt_athletics: Congratulations to all the @NCADA1970 Hall of Fame inductees, especially, @WilsonSchoolsNC Jimmy Tillman! RT @mrmattmclean: Congratulations to all the @NCADA1970 Hall of Fame inductees, especially, @WHSPioneerPride & @AsheCoAthletics Marc Payne! RT @mrmattmclean: Congratulations to all the @NCADA1970 Hall of Fame inductees, especially, @WilsonSchoolsNC Jimmy Tillman! RT @mrmattmclean: Congratulations to all the @NCADA1970 Hall of Fame inductees, especially, @DurhamPublicSch Larry McDonald! RT @mrmattmclean: Congratulations to all the @NCADA1970 Hall of Fame inductees, especially, @HillsideHS & @OrangeCoSchools Bob Hill! Long time "Friends of the Association"
Congratulations! We raised our NIAAA membership by 22% in 2018 and for the first time, we have more than 70% of our association as dual members of the NCADA and NIAAA. Let's continue to raise the bar in 2018-19. 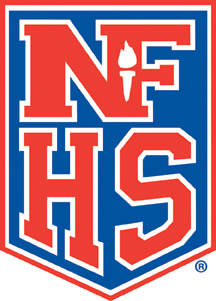 Click the link to get to the NCHSAA website for current job listings. Click the link to get to the NCHSAA website for open dates. Jerry, Thanks for Knowing, Going, Showing, and Leading the Way! HAVE YOU REGISTERED FOR THE 2019 STATE CONFERENCE IN WILMINGTON? 2019 Conference, Are you Registered? ©2019 North Carolina Athletic Directors' Association / SportsEngine. All Rights Reserved.